Purpose-built in 1926 and named after the family who owned it, Cameron’s was a popular guesthouse for families during school holidays. It was later used for various accommodation purposes and is now Moana Lodge for backpackers. This was built in 1926 as a guest house and was named after the family that first built and owned it. It was constructed using prime building materials available in New Zealand during the 1920’s like kauri, totara and matai. The high building cost and the threat of becoming insolvent probably led to the early death of Frank Cameron by drowning on 21st September the same year. The guest house was then run by his wife Agnes supported by her children. Her daughters were kept busy working in the tea rooms at the front of the property and also as housekeepers. The house became a popular place with families coming to stay for the whole school holiday period. It was one of a number of large buildings used as barracks for troops during WW11. It has been home to a silver service restaurant, a dairy, a commune, a hotel and for a while a boarding house which according to locals had a somewhat colourful reputation. After a brief time used for community support services it eventually reverted to accommodation in 1998 when Helen and John Chipper established Moana Lodge, a high end backpackers hostel that rates a mention in the Lonely Planet guide book. 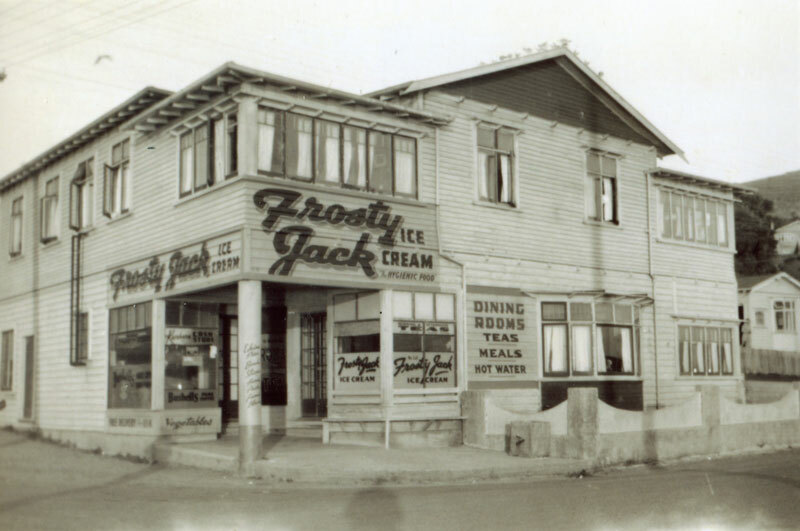 Though still maintaining its original character, the building required extensive renovations after being through so many different owners and uses. The building has 14 rooms and 36 beds in the main bedroom area upstairs and communal areas including a lounge, large dining room and kitchen downstairs. 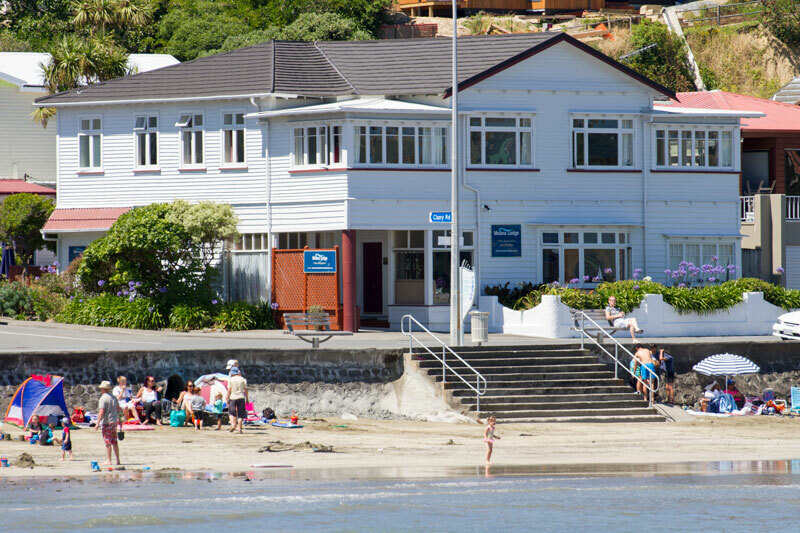 Danny Harding, the current owner since 2012, with 24 years of Royal NZ Navy service is very much at home by the sea.